Huangshan is an area close to the Shanghai in the eastern part f of China. As a part of China, it is among the more widely-known destinations for tourists. It is filled with rich history and great landscapes. The area is famous for its maofeng tea,which ranks among the top 10 in China, the Hongcun and Xidi villages built in an ancient style, as well as the Yellow Mountains consisting of pines and rocks of unique shapes. 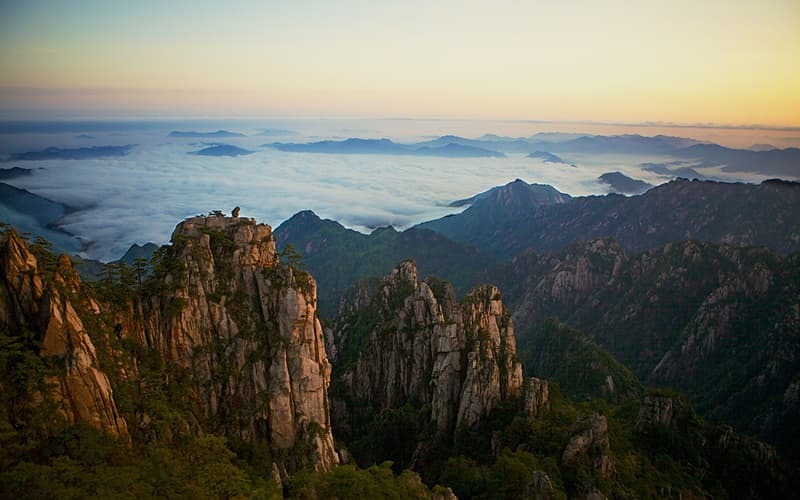 There are "3 Wonders of Nature" which characterize the Huangshan Mountain. These include the water bodies, beautiful rocks, and pines of peculiar shapes. A few areas like Beihai and Limaqiao, Tiandu peak are quite popular due to the possibility of Quaternary glaciers occurrence. 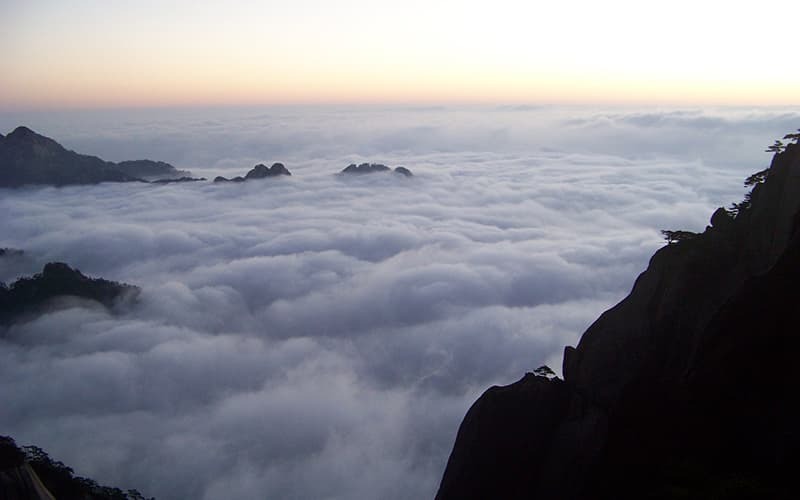 There is no concrete evidence on glacier occurrence in Huangshan Mountain and for more than half a century, there have been disagreements over this possibility. Geopark is quite interesting for this particular reason. The climate of Huangshan is subtropical monsoon humid considering its location in the subtropics. There are four different seasons in the location – winter, autumn, long summer, and short spring. Tourists can visit at any time of the year for a view of the city and its beautiful environment thanks to the great weather. Prepare for its stunning sunrise on the peak! During your visit to the mountains, you must ensure you stay on the mountain for a minimum of one night. This will give you a chance to enjoy the sunrise on the mountain. There are lots of places from which you can enjoy this view. Close to the Beihai Hotel, there is a place called the Dawn Pavilion which has become a popular location for viewing the sunrise. If you are not a fan of large crowds, then the Red loud Peak, Lion Peak, or a Refreshing Terrace are other great spots. Following the hiking paths of the Huangshan Mountains is quite easy for anyone which usually means a tour is likely going to be unnecessary. All you need is a local map which the local vendors offer for sale. Taiping or Tangkou also offer storage facilities for your luggage so a porter is not required. Simply carry a day pack and include a waterproof jacket and good shoes. Since you will be hiking at higher elevations, you also need to pack warm clothes. There is a division of the hiking trail into the southern or western steps and the eastern steps. The western steps cover a distance of 15km/9m while the eastern steps cover a distance of 4.5 mile/7.5km. In comparison to the western steps, the eastern steps are easier as well as shorter. The only advantage which the western steps have over the eastern steps is a much better scenery. For anyone who is not in great physical shape, the hike can be quite stressful. If this is the case, there are three cable cars available. These are also a great choice if you don't have enough time for the hike. A lot of Chinese tourists prefer to use the cable cars. Visiting on weekends may not be a great idea as the queue for the cable cars can be very long. On other days, you still need to get there early. 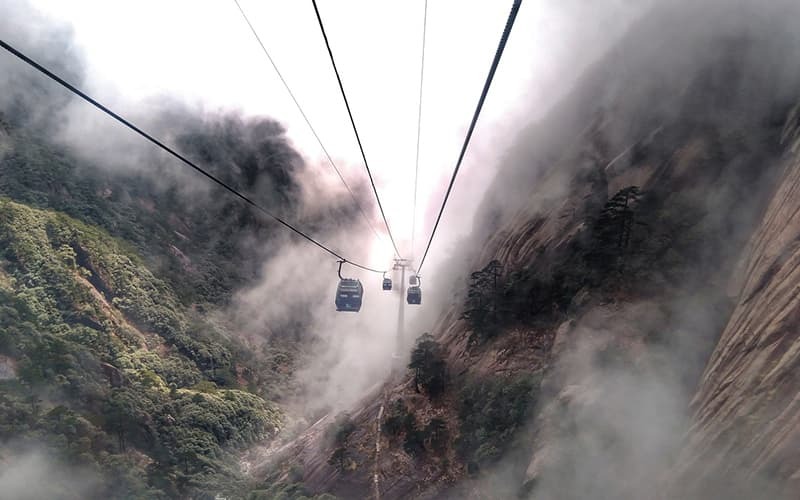 There are parallel cable cars which start at Tangkou as well as two hiking trails. From Taiping, you can access the third cable car. The Guest Greeting Pine is a pine tree of 800 years old also popular as Yingkesong. 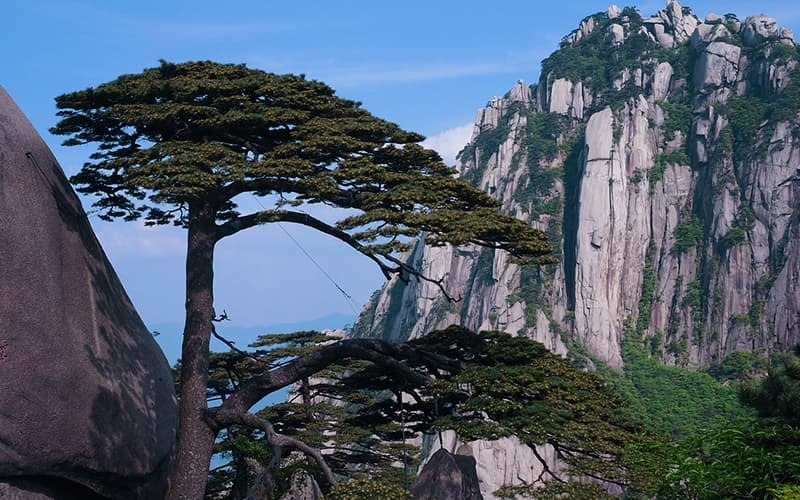 Located in the Yellow Mountain's Jade Screen Park, the tree is deeply rooted in hard granite rocks at a height of 1,680 meters above sea level. The name is coined from the way the 14-meter crown stretches in a manner similar to the open arms of a man welcoming his guests. Since as far back as the 1950s, the hospitality of the Chinese people has been depicted using the Yingkesong image. In the Great Hall of the People in Beijing, it is also common practice for Chinese leaders to take pictures with foreign guests in front of a screen displaying the pine tree. A portrait of former US President Richard Nixon and Premier Zhou Enlai in 1972 is one of the most popular. The “Yellow Mountain” is the English translation of Huangshan. This has nothing to do with the physical appearance of the mountain. The mountain was renamed in 747 AD in honor of Huang Di, the legendary yellow emperor. This marked the beginning of prosperity for the mountain. The great scenery of the mountain has made it an excellent tourist attraction while there have been a lot of Buddhist temples which have been built. A common belief is that the Chinese mythical ancestor, the Yellow Emperor, lived in the Yellow Mountains. This was where he also became a supernatural being. 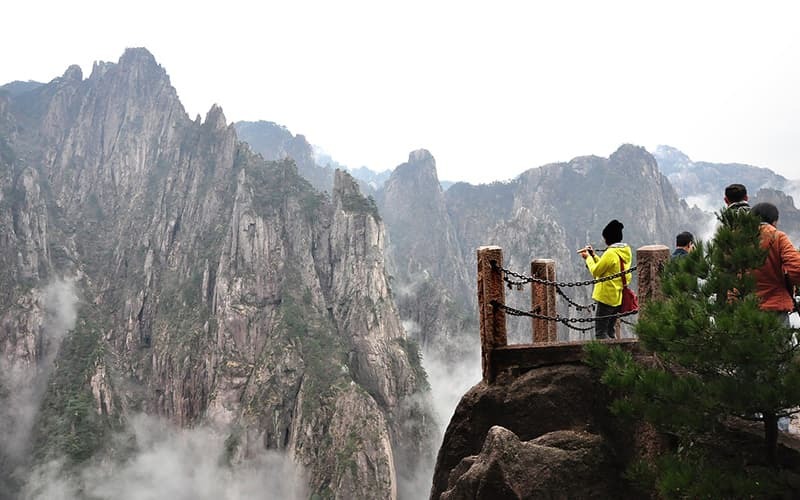 “Once you've ascended the peaks of Huangshan, you'll never want to climb another mountain.” This was according to a well-known Ming Dynasty (1368 – 1644) Chinese geologist, Xu Xiake. The filming of the popular movie, “Crouching Tiger, Hidden Dragon” also took place in this location. This is one of the main reasons why a lot of tourists find this place to be quite familiar when visiting. 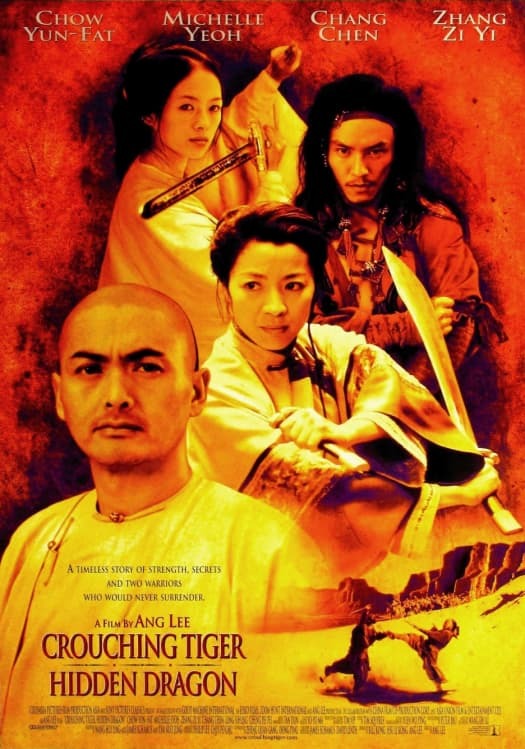 In addition to various popular movies like the “Crouching Tiger, Hidden Dragon,” there are also lots of paintings of the mountains in Chinese scrolls. If you want to do hiking in China, you must visit Huangshan Mountain. It's not only one of the most famous mountains in China, but the ancient legends of ancient times, Yao , Shun and Yu once happended here. Join in super private tour of UME Travel and you will have a wonderful China tour. You will be the master of your own tour - design the destinations you like and the date. We will arrange everything for you! See those tour for an idea and contact our travel consultants for a super private tour now!